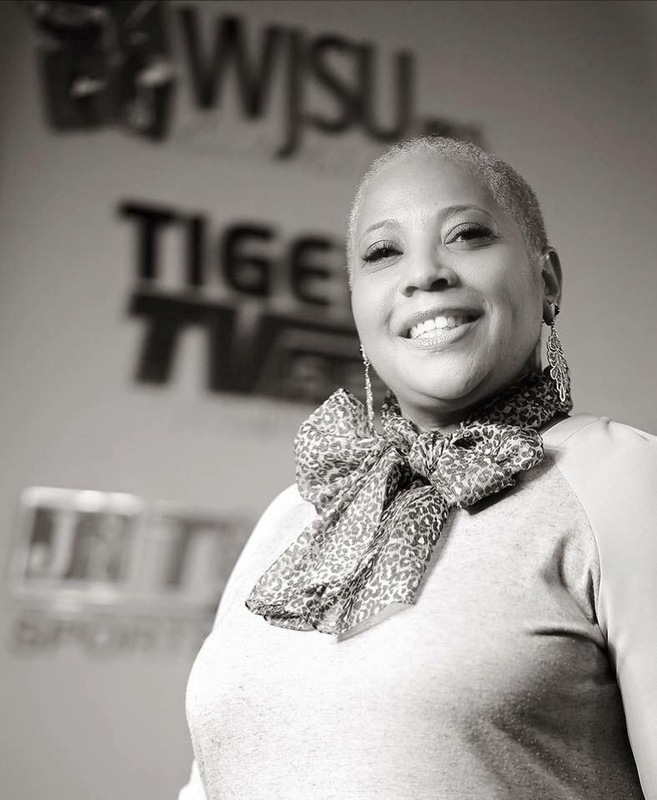 WJSU General Manager Gina Carter-Simmers, a fierce advocate in the war against breast cancer who organized the Beauty of Cancer photo exhibit and Wig Project, lost her valiant battle Tuesday night. She was 49. Carter-Simmers, a veteran Jackson State University employee, meticulously documented her story and those of other “survivors” – a term she chose to use rather than “patients.” She was diagnosed in August 2016 with aggressive triple-negative breast cancer and began chemotherapy shortly thereafter. Eventually, she would become a staunch advocate for those suffering by creating the “Beauty of Cancer” photo exhibit at the Mississippi Museum of Art in October. It showcased women of all races and their scars from chemotherapy and radiation. As well, it displayed women in their professional attire. Although she called the exhibit the “Beauty of Cancer,” Carter-Simmers said the title is really “a misnomer because there’s nothing really beautiful about cancer because of the physical and mental scars it leaves.” However, she wanted to inspire women and help them realize that breast cancer, labeling it a “bully,” would never rob them of their internal and external appeal. Dr. Elayne H. Anthony, chair of the Department of Journalism and Media Studies, was Carter-Simmers’ immediate supervisor and said the veteran broadcaster left an indelible mark. L.A. Warren, media relations specialist for JSU, was hired previously by Carter-Simmers in 2010 as WJSU’s news director. He calls her a consummate advocate for women battling cancer and admired her transparency for allowing him to document her journey from beginning to end. “Gina always displayed a warrior’s spirit. She inspired survivors to keep fighting and was admired by everyone. After she lost her hair due to chemotherapy, she wore her wigs but not her struggles. She labored until the very end and was determined to return to work at the radio station,” Warren said. Carter-Simmers’ most recent campaign, the “Beauty of Cancer Wig Project,” was held June 14. The event collected and donated nearly 80 wigs to the American Cancer Society for uninsured women battling all types of cancer. Below are stories of her journey and advocacy.